Your website design and domain name are the business card of your business. 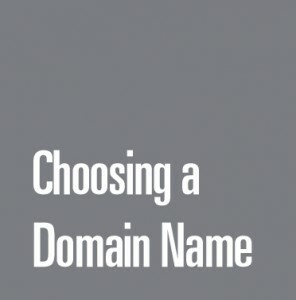 How do you choose the right domain name for your business website? The first thing you should bear in mind is the scope of your business. Think about what you sell (products and services) and what are the keywords that describe your business. As we said this is your business card and you don’t have a chance for a second first impression. Your website should be programmed and designed professionally. The next thing to consider when choosing the domain name is to choose only .Com domains. It is elegant and professional. Of course you can always use other domain extensions like .Net, .EU, .Biz and others but they should redirect to your main .Com domain. Along with the website design being neat and businesslike, your domain name should be easy to remember, without hyphens and numbers. Also do not choose domains that are close to famous brands because people will automatically type the name of the respective company and not yours. The name should be as short as possible so that any mistakes are avoided. When you are selecting your domain name be unique and creative, just like you are when choosing your website design. Avoid superlative names, they do not have any added value and most people accept it as scam. For example don’t include in the name best, most, utmost, cheapest, perfect. And last but not least run a checkup in Adwords on google to see which are the most popular words and combinations. This will help you choose the most suitable name that will bring a lot of traffic to your site, respectively profit to your company. And always be careful not to plagiarize trademarked names. You don’t want to end up in court for violating copyright. You will jeopardize the reputation of your business and whatever domain you choose, it will not help you.